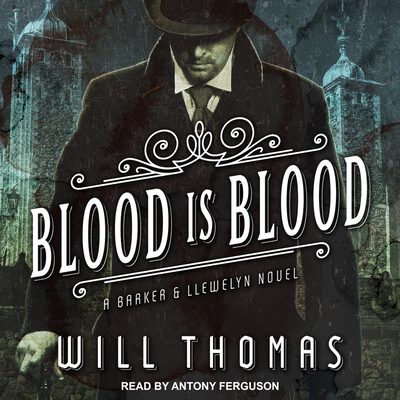 In nineteenth-century London, Cyrus Barker and his associate Thomas Llewelyn are renowned private enquiry agents, successfully employed by the highest levels of Her Majesty's government as well as private citizens. Their success, however, has led to their acquiring a powerful group of enemies, many of whom are determined to have their revenge. At least one of those enemies is responsible for a bombing of their offices that puts Cyrus Barker into the hospital and endangers Thomas Llewelyn's rapidly forthcoming nuptials. To add to the confusion, Barker's long-lost brother Caleb turns up on the rubble of their doorstep not long after the not-quite-fatal bombing. Unsure of Caleb and warned about him by Barker, Thomas reluctantly accepts Caleb's help both with a new case that comes in as well as trying to pinpoint which of Barker's enemies is making a move against them. As Thomas works his way through their enemy list, someone else is winnowing down that list: one by one those enemies are dying. With time running out-and his bride-to-be reconsidering their marriage-Llewelyn must (with the sick-bed bound Barker's help) uncover the killer and the plot before it's too late.